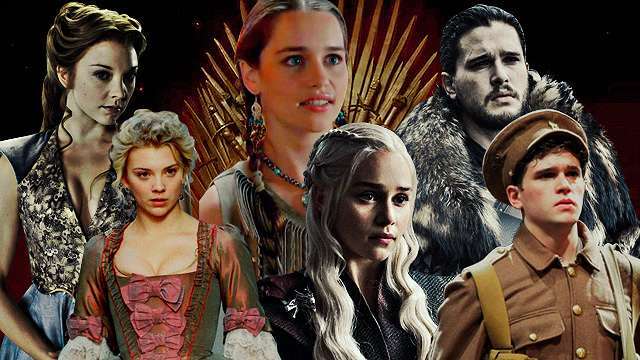 Game of Thrones is such a massive show that it has served as the launching pad for the careers of many of its young stars, including Sophie Turner and Maisie Williams (who play the Stark sisters). For the rest of its ensemble cast, however, the show either cemented their fame or served as another bullet point in an already-long and impressive resume. 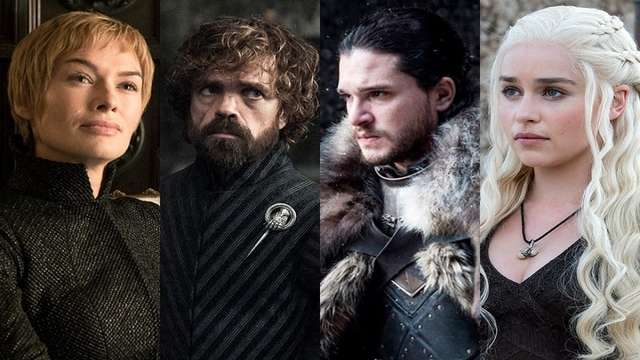 It turns out that a lot of your favorite characters have been sneakily hiding in some of the biggest movies and TV shows over the years. Here's where you might have missed them in the past. Mark Addy's most familiar role is far from the drunken King Robert Baratheon that GoT fans know. In 2000, he played Fred Flintstone in the live-action adaptation of the popular cartoon series. He's also known for the 1997 R-rated comedy The Full Monty, the 2001 action-adventure A Knight's Tale, alongside Heath Ledger, and the 2010 drama Robin Hood with Russell Crowe, Cate Blanchett, and Oscar Isaac. Fans love Olenna Tyrell for her sassy, DGAF remarks but 79-year-old Diana Rigg has always played badass women. Her extensive career spans across film and theatre, with the most notable projects being the 1961 British TV series The Avengers (not to be confused with the Marvel superhero smash) and the 1969 James Bond movie, Her Majesty's Secret Service. In the latter, she played Tracy Bond, the only Bond Girl to ever be wed to the secret spy. Lena Headey has earned plenty of praise for playing the villain we love to hate, Cersei Lannister, but the actress has long been turning heads in various projects. After holding her own in successful 2000s films like The Brothers Grimm (co-starring Matt Damon) and Imagine Me & You (where she played a lesbian alongside Piper Perabo), she later landed one of her most recognizable roles yet: Queen Gorgo in 300 and 300: Rise of an Empire. She also starred as Sarah Connor in the long-running sci-fi series, Terminator: The Sarah Connor Chronicles. Natalie Dormer's debut film was the 2005 period piece Casanova, where she played Victoria alongside Heath Ledger. She went on to star in many popular projects, including: The Tudors as Anne Boleyn, 2013's Rush (co-starring Chris Hemsworth), 2013's The Counsellor (co-starring Michael Fassbender and Penelope Cruz), and The Hunger Games: Mockingjay in 2014 and 2015. The actress also portrayed Irene Adler in the modern Sherlock Holmes TV adaptation, Elementary. Long before Jason Momoa was making ladies swoon as Khal Drogo, he was already running in slow-motion as a lifeguard in the last season of Baywatch. He also had a role in the 2003 TV movie, Baywatch: Hawaiian Wedding and later, the long-running sci-fi series, Stargate: Atlantis. He's best known as the cunning dwarf Tyrion, but Peter Dinklage was already impressing critics with his leading role in Tom McCarthy-helmed film, The Station Agent. Heâs also had roles in Nip/Tuck, 30 Rock, Ice Age: Continental Drift, and The Chronicles of Narnia: Prince Caspian. We hear he has a rumored role in the upcoming Avengers: Infinity War movie, too. Before she rose to fame as the Mother of Dragons, Emilia Clarke had a small role as Savannah in the 2010 TV movie, Triassic Attack. Since landing the role of Daenerys, she's starred in projects like 2015's Terminator Genisys and 2016's Me Before You. She's also slated to be part of the still-untitled Han Solo movie. Before Jon Snow was bending the knee and slaying White Walkers, he was part of only one project: the original West End production of War Horse, where he played the lead as Albert. Post-Thrones, heâs killed demons in 2012's Silent Hill: Revelation, fled a volcano eruption in 2014's Pompeii, and made young audiences laugh in 2014's How to Train Your Dragon 2. His next project is the British mini-series, Gunpowder. Jack Gleeson's turn as the sociopathic Joffrey Baratheon both impressed critics and enraged avid fans up until his gruesome death in Season 4. Before that, he famously played the Little Boy in awe of Christian Bale's Batman in 2005's Batman Begins. (That specific scene became so popular that it even spawned memes.) Today, Gleeson has retired from acting to study theology and philosophy. Prior to Thrones, Danish actor Nikolaj Coster-Waldau mostly starred in—what else?—Danish films, such as Nightwatch in 1994 and Wildside in 1998. His first U.S. role was the critically acclaimed Ridley Scott war drama, Black Hawk Down, alongside Josh Hartnett, Ewan McGregor, and Eric Bana. For a lot of Thrones and Narcos fans, Pedro Pascal's onscreen charm seems to have come out of nowhere, but it turns out he's been in plenty of your favorite shows, starting with Buffy the Vampire Slayer; he played Eddie, the first friend that Buffy makes at UC Sunnydale until he's turned into a vampire. He's also made appearances on Law & Order, The Good Wife, CSI, and Homeland. Before becoming the King of the North that met an untimely death, Richard Madden landed plenty of roles in British TV, including 2009's Hope Springs and 2011's Sirens. He recently starred in the period series, Medici: Masters of Florence, and is currently filming the R-rated Netflix original movie, Ibiza with SNL alum Vanessa Bayer and Community alum Gillian Jacobs. Harry Lloyd's career dates back to 1999, but he also notably creeped out audiences with a two-episode appearance in the long-running sci-fi series, Doctor Who. The prolific English actor has since appeared in many series and films over the years, including The Iron Lady (2011), Manhattan (2014 to 2015), and The Theory of Everything (2014). She may have won fans over as the matriarch of the noble Stark family, but Michelle Fairley has been in a British TV and movie staple since 1999. You'll likely recognize her as the mother of Hermione Granger in Harry Potter and the Deathly Hallows: Part 1. She was also recently part of the period mini-series, The White Princess. At this point, Sean Beanâs IMDb page is probably as long as the entire Game of Thrones series. (His consistent death scenes in a majority of his projects has even become a running joke now.) The actor has played many roles since 1984, the most memorable one being Boromir in the LOTR trilogy. Say it with us: "One does not simply walk into Mordor."